The 2017-18 hockey season is underway. The 101st season in NHL history kicked off with four games in a single night on October 4th. Now, we’re headed into the 2018 Stanley Cup playoffs. This year, cut the cord and watch NHL on Kodi, the home theater application you can download and install free of charge. Live sports have been the last bastion of cable and satellite providers struggling to prevent subscribers from cutting the cord and migrating to fully online video services. But with free, open-source software like Kodi, which runs on multiple platforms and can stream video from a huge variety of sources—even live broadcasts—their days are numbered. Kodi is available on Windows, Mac OSX, Android, iOS (jailbroken), and Linux. That includes Linux and Android-based streaming media boxes like Roku, Amazon Fire TV, and Chromecast. Kodi is a popular means to live stream almost any sport from NHL and NFL to UFC and many more. The number of sports-related Kodi addons just continues to grow as well, as many addons allow users to access popular streaming services. However, a large number of addons exist that straddle the line between official and unofficial. Our guide focuses specifically on those add-ons that are either official or that allow for easy and legal access to NHL on Kodi. We also provide an overview of unofficial add-ons to help users understand what they are, how they work, and why they carry some notable risks. At this time of writing, all addons we’ve recommended provide legal access to NHL streams. There are several Kodi addons that provide access to NHL streams that you’ve legally paid for. However, even in the case of legitimate addons, you’ll need to take care to avoid putting yourself in danger for hack attacks through Kodi, such as man-in-the-middle attacks. These can occur when hackers change the code in a Kodi addon and use the addon itself to gain access to your system. A VPN can help prevent MITM attacks and other forms of privacy-related concerns. It encrypts your internet traffic and routes it through a server in a location of your choosing, securing all your activity from third parties. This also makes it possible to evade geo-blocked content and prevents your ISP and other viewers from snooping. VPNs can also be used to bypass blackout restrictions. We recommend IPVanish since it works with all Kodi add-ons and is great for privacy, making it the most popular VPN among Kodi users. READER DEAL: Comparitech readers can save up to 60% on IPVanish here. Additionally, many ISPs will throttle internet data speeds due to online streaming. We recommend a VPN for streaming through Kodi, as it will anonymize the data connection and prevent your ISP from knowing where the data is coming and going. You get what you pay for, so don’t expect miracles when searching for a free live NHL streams. Many will not work. Most will be average or low quality. They might cut out in the middle of the game. If you’re not prepared for all that, skip to the paid options below. Note that local market games are blacked out on NBC in favor of regional broadcasters, but that shouldn’t matter much when streaming, especially if you have a VPN to switch your location. Unlike the free streaming addons, most paid options offer high-definition streams, no dead links, and won’t get cut off in the middle of a game. Some of them are subject to regional blackouts, however, so keep a VPN handy. If you’re going to go all-in with Kodi streaming for your NHL games, USTV Now is a bit of a godsend. For free, you’ll get 7 channels that include NBC. You can catch some of the late season games and a few other games with this option. However, if that’s not good enough for you, you can pay $19.99 per month and also get NBC Sports Network. Considering NBC has the single largest broadcasting contract with the NHL, you’ll catch almost every game available. You can easily sign up to USTV Now and then download the add-on later. USTVNow is available in the Official Kodi Addon Repository, although the newest version may be located elsewhere. 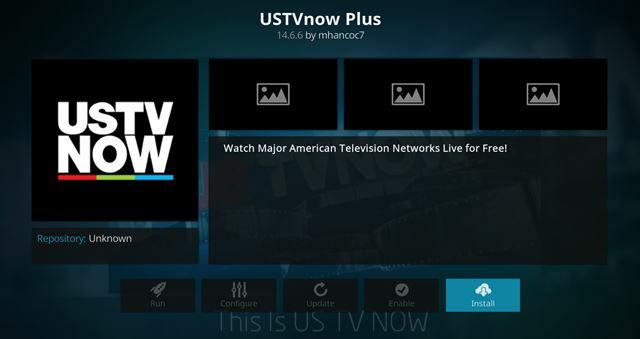 Click here to access our more detailed USTVNow installation guide. 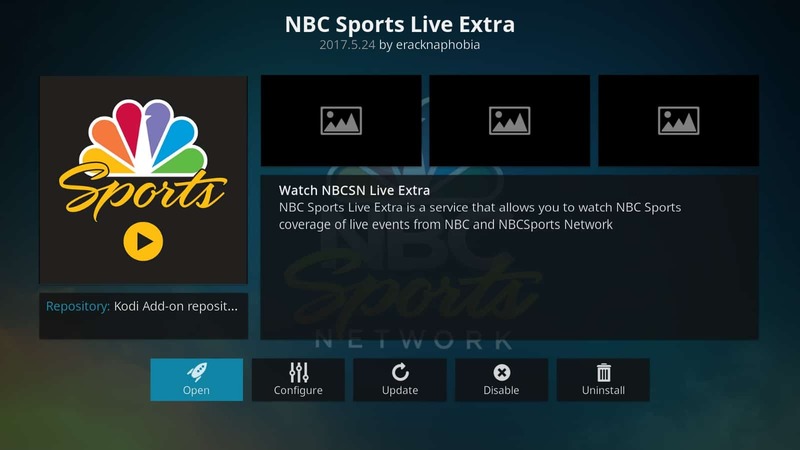 If you already pay for a US cable subscription, you can use your login information to stream live NHL games in high quality using the NBC Sports Live Extra Kodi add-on. If you’re traveling outside the United States, be sure to set your VPN to a location inside the US in order to access the stream. After locating the NBC Sports Live Extra add-on in the Official Kodi Addon Repository, you’ll be able to access your NBC Sports Live account through Kodi. NHL GameCenter is the Kodi add-on for NHL.tv, which gives you access to all regular season and preseason out-of-market games. Local team games might be blacked out, in which case just set your VPN to somewhere else in the United States to access the stream. A subscription costs $24.99 per month or $139.96 per year. There’s also the option for a “single team” package for $111.96 per year. 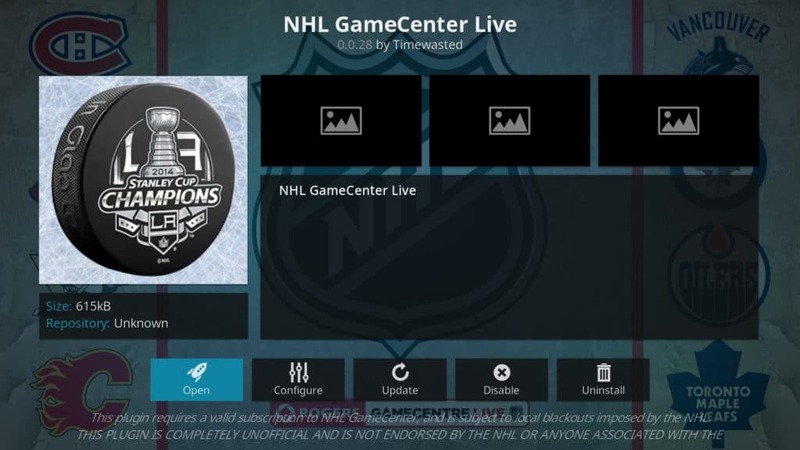 NHL GameCenter can be located in the Official Kodi Add-on Repository. Proper access to the content will require users to have a GameCenter username and login. NHL.tv is another Kodi addon that will give you access to your NHL.tv account through Kodi. The information applies equally to this and the NHL GameCenter addon. Whether you use this one or NHL GameCenter comes down to a matter of preference, and which one you find works best for you. NHL.tv can be acquired through a paid account for $24.99. From there, you can enter in your credentials through the Kodi addon and access all of your NHL.tv streams. The NHL.tv Kodi addon is available through the Official Kodi Addon Repository. PlayStation Vue is a streaming service that is meant to replace cable TV packages. For $39.99, it will provide you with NBCSN and CNBC. Most nationally televised regular season games in the U.S. are on NBCSN, and some playoff games can be found on NBCSN and CNBC. If you live in a major metropolitan area, NBC may also be available on PlayStation Vue. If so, the PlayStation Vue addon will allow you to watch every postseason game on NBC, NBCSN, and CNBC, as well as each regular-season “game of the week” on NBC. If you do not live in an area where NBC is available on PlayStation Vue, you can combine this addon with the USTV Now one listed above to get the same channels. 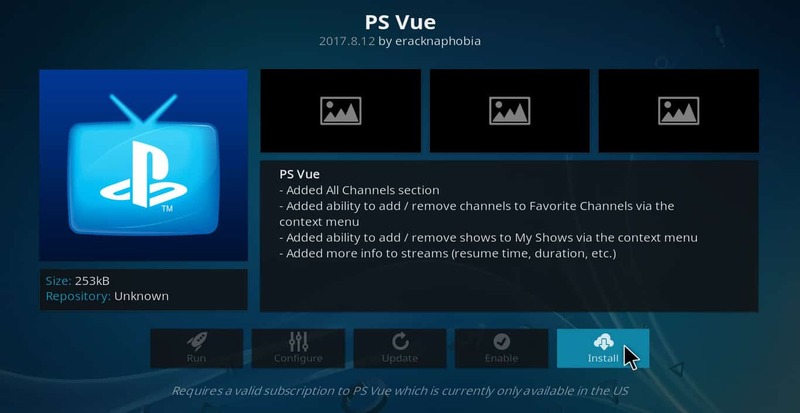 The PlayStation Vue Kodi addon can be found in the Official Kodi Addon Repository. Sportsnet is a collection of Canadian sports TV channels, and Sportsnet Now is the online streaming service associated with these channels. The Kodi addon gives you access to this service. Most Sunday-night games are broadcast in Canada on Sportsnet, as well as many Saturday night and playoff games. The Sportsnet Now service costs $24.99/month, which is a lot less expensive than many other options. Unfortunately, it is geo-locked for anyone trying to access it outside of Canada. While you can sometimes use a VPN to get around this problem, signing up requires a Canadian credit card. If you are accessing the internet from Canada though, this is a great option. 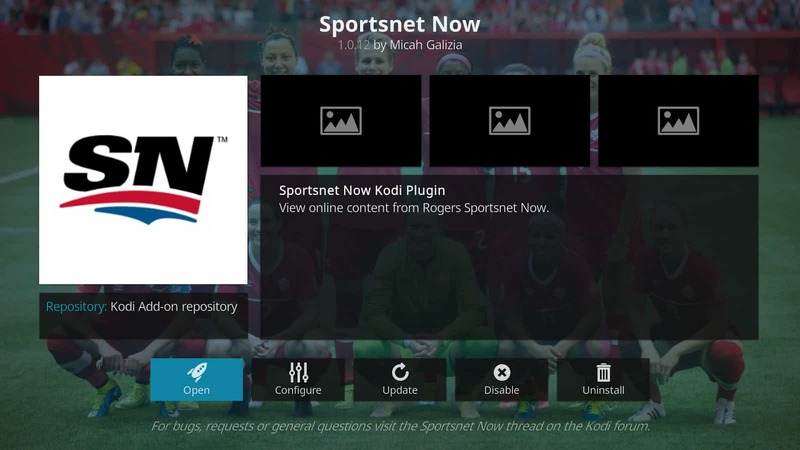 The Sportsnet Now Kodi addon can be found in the Official Kodi Addon Repository. 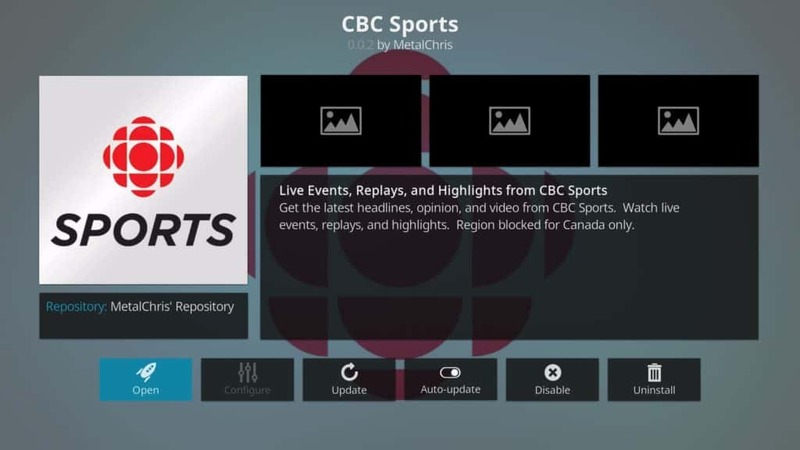 The CBC Sports Kodi addon will give you direct access to CBC’s live and on-demand sports streams. This is one of the few free options available to those that want to watch NHL matches and a limited number of Stanley Cup playoff matches. CBC Sports is only available in Canada and region locks their content. You can bypass this with a VPN, however, so long as you’re connected to a Canadian server. The addon streams content in high quality video as well, so this is one you’re going to want have installed once the playoffs start. You may find other lists that include a number of third-party addons that provide NHL live streams. These add-ons, which are considered unofficial by the XBMC Foundation, are ones we do not condone or recommend for Kodi users accessing NHL games. 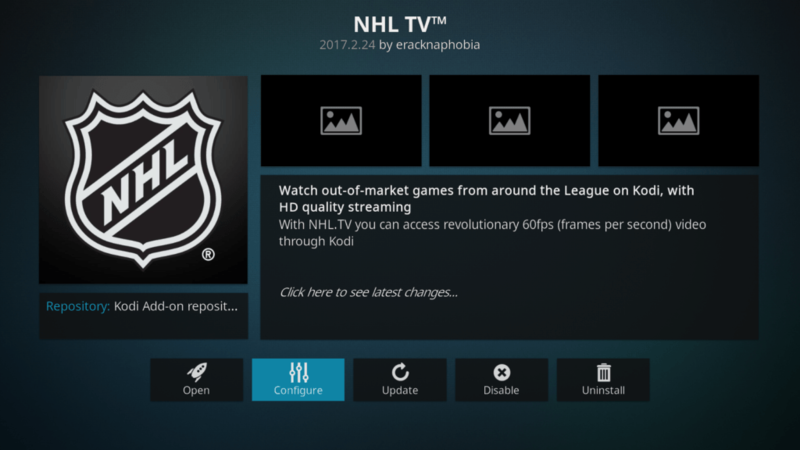 We believe Kodi users should avoid the following add-ons when looking to stream NHL on Kodi. What is it? SportsDevil is a third-party add-on that scrapes streams from other websites. SportsDevil’s streams are not hosted by the add-on. All streams come from third-party sites usually hosted outside of the countries where the streams are originally located. For example, these sites may stream content from US and Canadian channels, but be based in Russia or elsewhere. Why should you avoid it? It is best to avoid SportsDevil because it only provides pirated streams. Most of the streams are of relatively mediocre quality as well. We do not recommend SportsDevil due to its use of pirated streams and noticeably lower-quality content. What is it? SportsAccess provides high-quality streams to a large number of Kodi users. This service accesses those streams through unofficial means, however, and provides them to Kodi users for a price. Why should you avoid it? We do not recommend SportsAccess for any streaming purposes. SportsAccess offers a highly pirated streaming option for Kodi users. A particular affront is that this service charges money for streams users can find legally in other places from legitimate sources, or even free from unofficial sources. What is it? cCloud TV is a popular IPTV Kodi add-on that draws from thousands of different streaming channels from across the world. A large majority of the cCloud TV content focuses on US and UK channels, although almost any country’s channels can be located here. Why should you avoid it? With the exception of a few countries where such rebroadcasting is not against the law, most streams available in cCloud TV are pirated and illegal. Particularly for US, UK, and Canadian channels, such rebroadcasting without a right to do so is banned. Although streams can easily be accessed here, and many users do, we do not recommend cCloud TV for any streaming. The other available, legal options on this list provide better service than what you can find on cCloud. What is it? Rising Tides is a live TV streaming add-on that has been gaining popularity among Kodi third-party add-on users. The add-on scrapes different websites for live streams of various TV channels, with a heavy emphasis on US channels. Why should you avoid it? Rising Tides, like cCloud TV, has a large number of live TV streams that are pulled and rebroadcast without permission. Rising Tides is somewhat newer, gaining more popularity, but persists in utilizing pirated streams for its content. We do not recommend Rising Tides due to its heavy use of pirated content. What is it? Falcon Sports is the sports-only arm of the Falcon Kodi add-on. Both Falcon and Falcon sports focus on pulling live streams of different channels into Kodi. Falcon Sports, in particular, focuses on sports streams. Why should you avoid it? All of the live sports you’ll find through Falcon Sports utilize pirated streams. Of particular concern is the fact that Falcon Sports lists a lot of cable channels that are otherwise only available through paid subscription services or cable packages. Since these are offered freely, they are illegal for those sites Falcon pulls from to obtain and rebroadcast. We do not recommend Falcon Sports due to its use of pirated streams. Instead, opt for the legal options listed above. What is it? Smoothstreams is an online service that tries to find the highest-quality pirated sports streams available from around the world. In order to use Smoothstreams, you have to prepay $17/month for a subscription using bitcoin or PayPal. Why should you avoid it? We do not recommend Smoothstreams Kodi addon. Smoothstreams charges $17/month for content that they don’t even pay copyright-holders for. In addition, although Smoothstreams may have higher-quality streams than other addons that stream from unofficial sources, it still cannot compete with official sources on quality. You can find more detailed step-by-step instructions with pictures on how to install Kodi add-ons and repositories in our tutorial. The easiest way is to use install multiple super-repositories that will house a variety of different popular add-ons. Installing an addon typically involves six steps. For example, here is how to install the Crackle addon from eracknaphobia’s repo. Similar steps can be followed to install most Kodi addons. If the addon you are looking for is part of the official Kodi repository, you can skip steps 1-5 because Kodi comes with the official repository preinstalled. In this case, just go to the Kodi main menu and click addons → downloads → video addons → (name of addon). Then click “install” to get the addon installed. For example, this can be used to install NHL.tv and USTV Now. Finding all of the NHL games you want while getting quality video and sound can seem complicated. But it doesn’t have to be. Browse through this list of the best addons to watch NHL on Kodi, and you should be well on your way to finding the games you want. See also: Our NFL Kodi addons guide.